DediProg released a new model of SPI Flash Emulator, EM100Pro-G2. Differ from the previous version, EM100Pro-G2 is integrated with a high-speed DRAM to offer the best code updating performances and internal buffer size extended to 512MB. Also, EM100Pro-G2 has a 2Gbit emulation capacity to fulfill various device density and auto swap firmware voltage (1.8V or 3.3V) while device selection. It provides engineers with a flexible development & testing tool for any embedded project that uses an external SPI NOR Flash. 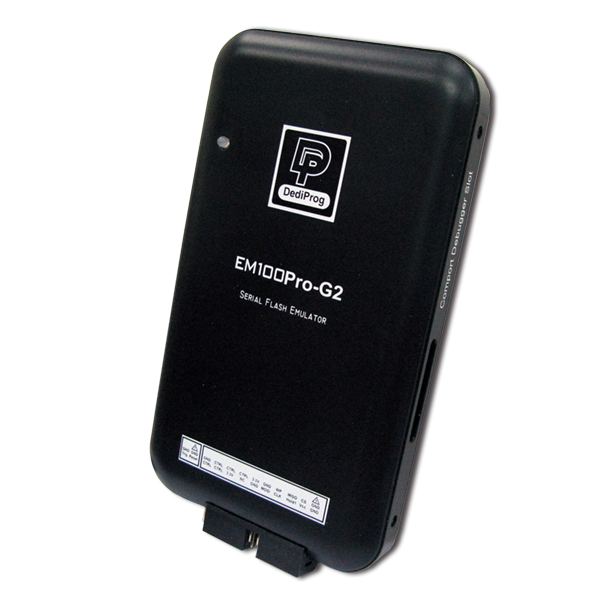 EM100Pro-G2 provides quick and in-circuit firmware test cycles during development.